This topic will go through the toolbar allowing you to toggle between day and night mode, print, sketch and add charts to your clipboard. We will now have a look at the charts toolbar. 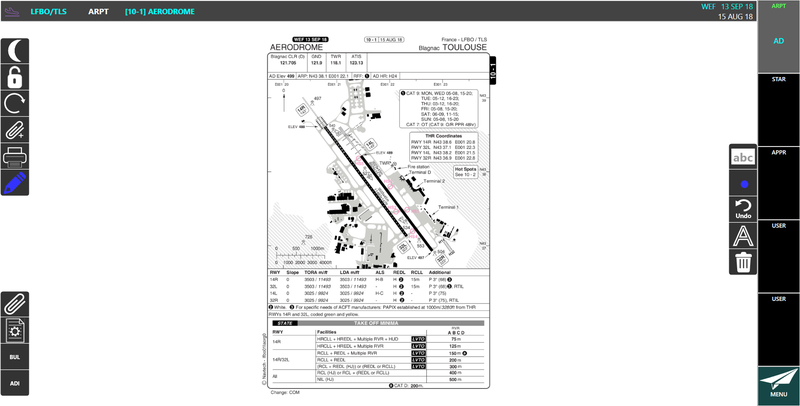 Let's go and look at the chart toolbar in more detail and see what these buttons do to the chart. This button allows you to toggle between day and night mode. You are currently viewing the chart in day mode. access. When selected, the icon turns blue and the plus turns to a minus. See Clipboard and Bookmarks for more information. 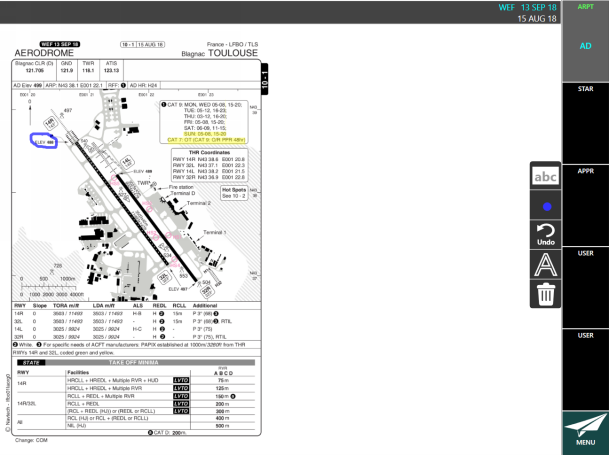 The print button allows you to print a chart to a printer connected to your computer. The Sketch and Annotate button opens the sketch toolbar that allows you to make sketches and annotations on a chart. When the marker button is activated the button reflects the marker color chosen in the Settings screen. 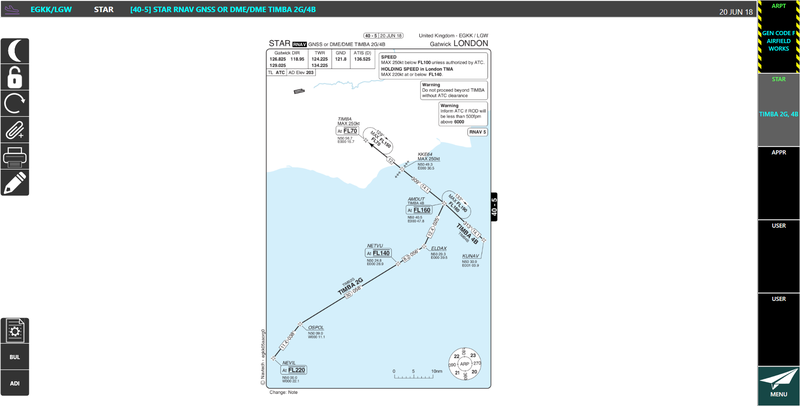 See Sketch and Annotate charts for more information. Let's say you want to print this chart out this can be done by going to the print feature. Before you can print you need to make sure that you have a printer connected to your device so you can print charts or documents. 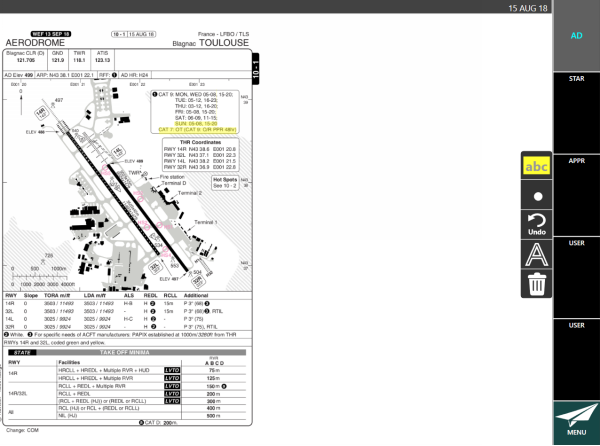 The chart/document is printed in day mode and scaled to print full page using the printers default settings. 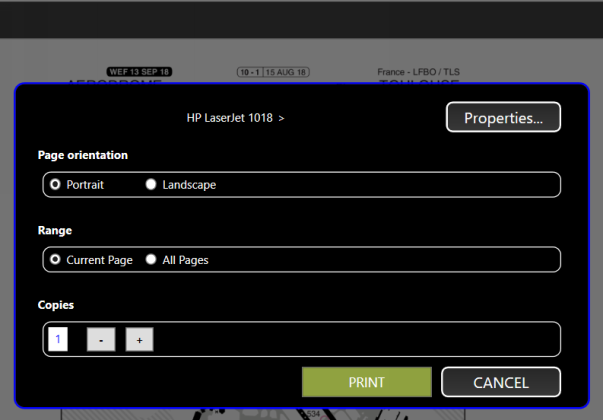 To change any of the printer properties click the properties button. 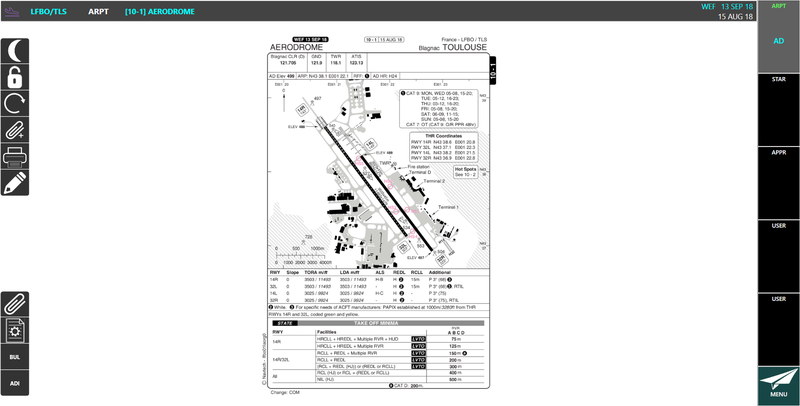 The Sketch and Annotate toolbar allows you to sketch on or add notes to a chart in the chart viewer. Let's have a look at sketching your chart. Click the Sketch and Annotate image. Notice how the icon has changed to blue. This color can be changed in the settings menu. Let's have a look at the popup toolbar in more detail. Start by clicking on the marker button. This will allow you to highlight text that you wish to be in yellow. In this example text has already been highlighted for you. To highlight the text simply click and drag across the text you wish to highlight. Let's now have a look at sketching on the chart. Using your mouse or your finger you can draw anywhere on the chart. In this example we drew a circle around the ELEV 488 label. You can change the color of the sketch by going to the settings menu to change the color. Selecting the drawing icon again will bring up the brush size. 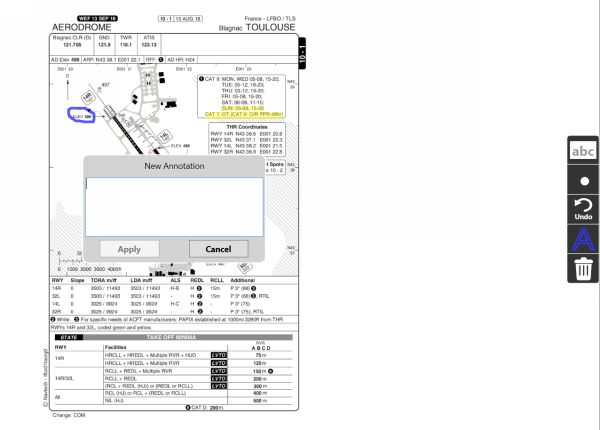 The annotate button allows you to write a note and place it on the chart. 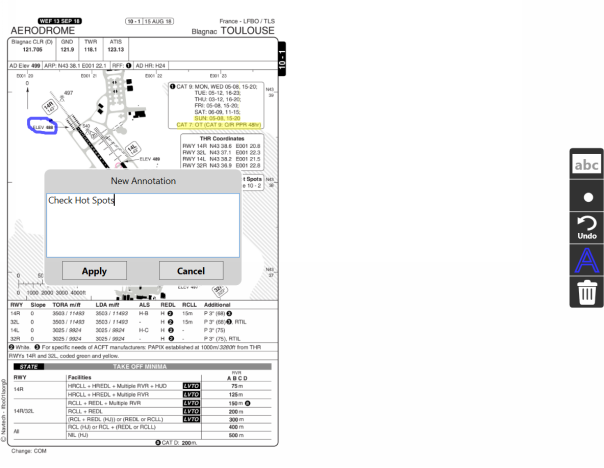 You can select the location of the note simply by clicking on the chart where you would like the note to go. Enter your note in the text box. Enter Check Hot Spots into the field. Your new note is now in position. You can edit the note or move it to a different place. Clicking and holding the mouse down on the gray box above the note will allow you to re locate the note. Single click inside of the note to edit the note. Let's go and remove all the annotation from the chart. chart viewer or the clipboard. 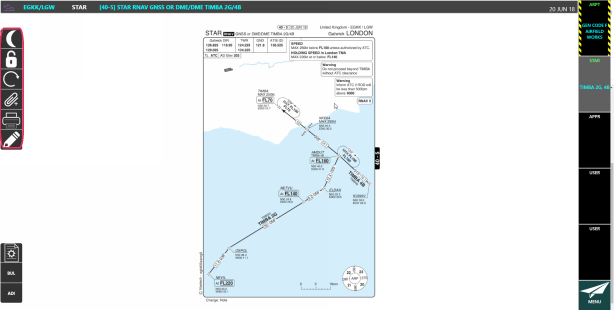 Sketches and notes are saved and are available if you switch from the chart viewer to clipboard or from the clipboard to chart viewer. The undo will remove any sketch or annotation, however, it will not remove the note that has to be by either clicking the X on the note or deleting all annotation and sketch. 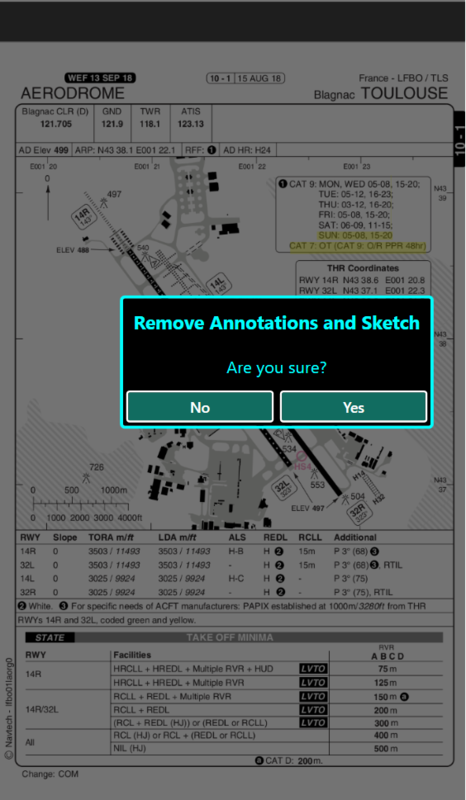 Delete will remove all sketch and annotation including any notes on the chart.